People who use drugs intravenously put themselves at great risk. The IV method of drug use is the surest way to experience an overdose. That is not to say that you cannot overdose from opioids via oral use, just that IV users are at a greater risk. To be sure, loss of life from overdoses in the United States has highlighted the importance of tackling the American opioid addiction epidemic. It is so easy for people miss-dose or to not have all the facts regarding what it is they are putting in their body, such as heroin mixed with fentanyl, a drug nearly hundred times stronger than morphine. In other cases, fentanyl is being disguised to look like OxyContin pills, a favorite brand opioid among abusers. Even without an overdose, intravenous drug use can be a slippery slope towards premature death. Those who engage in the most dangerous form of drug use are also at great risk of developing other life threatening health problems. As is evident by the reports in recent years of both HIV and hepatitis C outbreaks across the country, sometimes in some of the most unlikely of places—such as the state of Indiana, et al. A new report from the Centers for Disease Control and Prevention (CDC) found almost a tripling of new hep C cases between the years 2010 and 2015, CNN reports. In 2010, there were 850 new cases of the deadly illness reported. The number of new cases is 2015 reached 2,436, and those most likely to contract the liver damaging disease were 20- to 29-year-olds. 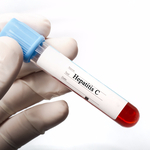 In 2014, more people died from hepatitis C than at any time. "These new infections are most frequently among young people who transition from taking prescription pills to injecting heroin, which has become cheaper and more easily available in some cases," said Dr. John Ward, an author of the new report and director of the division of viral hepatitis at the CDC. "In turn many -- most, in some communities -- people who inject drugs become infected with hepatitis C."
The agency points out that the true number of new cases is actually much higher, according to the article. Due to the fact that the early stages of the illness do not always reveal symptoms, prompting people to continue doing what they are doing—potentially spreading the disease. The CDC estimates that new cases in 2015 were likely closer to 34,000. It is crucial that states realize that needle exchanges do not promote drug use, they save lives. If you are still using drugs of any kind intravenously, or have recently begun working a program of recovery, it is vital that you are screened for both hepatitis C and HIV. The earlier the conditions are detected, the sooner you can begin treatment to mitigate the damage caused by such illnesses. If you are still using, we strongly encourage you to seek help at treatment center. Withdrawing from opioid addiction is extremely difficult and the best chance of seeing it through to the light of recovery is greatly increased with the help of medical detox. Please contact Hope by The Sea today to break the cycle of addiction.